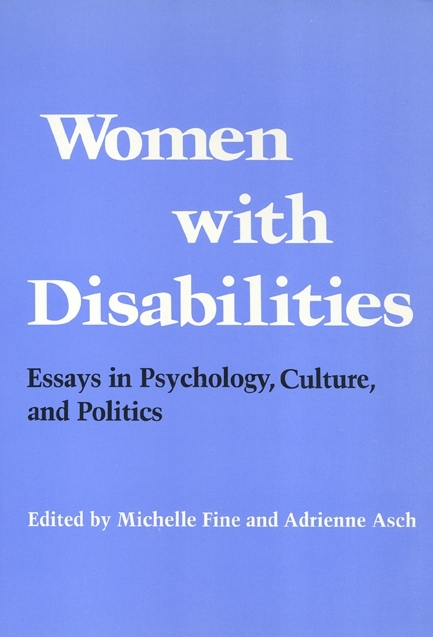 Adrienne Asch, co-editor with Michelle Fine, of Women with Disabilities, recently lost her battle against cancer. In this blog entry, friends and colleagues remember and honor the late Temple University Press author and disability activist. Adrienne Asch’s obituary appeared in the New York Times on November 23, 2013. 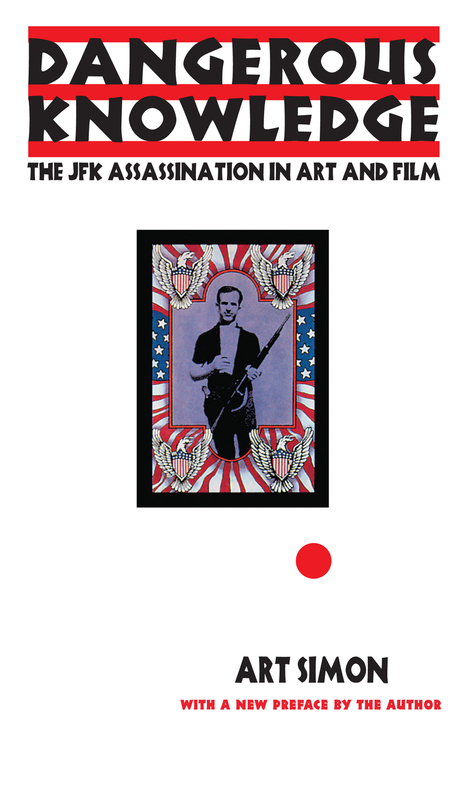 In this blog entry, Art Simon, author of Dangerous Knowledge: The JFK Assassination in Art and Film, ponders provocative commemorations and the meanings of the JFK assassination. But one of the stranger commemorative events is taking place at the Amon Carter Museum of American Art in Fort Worth in an exhibition featuring the art that was collected and displayed in Suite 850 of the Texas Hotel where the Kennedys spent their last night together. The curators, while not wanting to re-create the room exactly, have brought together works by Picasso, Van Gogh, Monet, and Kline that were no doubt put on display to let the well bred first couple know Texans were not totally ignorant about high culture. This strikes me as among the strangest forms of reenactment yet for an event that has been subjected to all kinds of re-creation, from The Warren Commission, to Hollywood versions in JFK and In the Line of Fire to an episode of Seinfeld (or was that a reenactment of a reenactment?) to a 2004 video game called JFK: Reloaded that places the player in Oswald’s alleged sixth floor window with the rather perverse object being to re-create the shooting just as The Warren Commission described it. Somewhere Sigmund Freud has a knowing smile as the nation cannot break free of its own repetition compulsion and the killing of JFK. But with the art exhibit in Fort Worth we have moved away from reimagining the public space of Dealey Plaza and into conjuring the private aesthetic experience of the first couple. Why? Having heard from virtually everyone involved in the assassination, from Secret Service agents to Governor and Mrs. Connolly to witness-bystanders, and having participated in the question posed by virtually everyone alive at the time—do you remember where you were when you heard the news?—the only experience not yet tapped is that of the Kennedys. And since we can not get to the heart of their experience, we might substitute for it their experience of the hotel that morning, their waking up to a wall of 20th Century masterpieces. As I have written about the culture of the Kennedy assassination over the years, I have always been reluctant to speculate about mass psychology, resisting the impulse to diagnose the various national obsessions around JFK and his killing. But with another nod in Freud’s direction, it does seem as though the art exhibit in Fort Worth is one more example of our 50 year old fetish, a need to find substitutes for what we don’t know but wish we did—about the Kennedys, about Oswald’s motives or those of his accomplices (depending on your opinion), about exit and entrance wounds and about what the Sixties might have been had the assassination not happened. We respond to the absence of knowing with a glut of images, recycled footage of Camelot, yet another examination of the Zapruder film, another memoir by someone who claims to have known the private side of the President. And yet turning our attention to art on this 50th anniversary is not a bad idea. I would suggest however that we look not to what hung in the Texas Hotel but to what got produced within weeks and then within a couple years of the assassination, namely the silkscreen portraits created by Andy Warhol and the underground film masterpiece Report made by Bruce Conner. Indeed, pop artists at the time offered a fascinating reply to the assassination and its afterlife in the pages of Life magazine, the Warren Report and American culture generally. It’s a shame that in the media blitz now attending to JFK’s death, these works are being overlooked. Nearly 50 years after their making, they still present a compelling and visually provocative commentary on the meaning of the JFK assassination, both in its time and ours: Who gets to write the history of an event like this? Who profits from its telling and re-telling? How should we understand the moving image as evidence and window onto the past? It’s University Press Week! All week long university presses will be participating in the UP Week Blog Tour, where presses will be blogging each day about a different theme that relates to scholarly publishing. For the full Blog Tour schedule, click here. Princeton University Press: Peter Dougherty, Press Director, writes about the importance of foreign language translations to the future of university press economic health and fulfillment of our missions. New York University Press: Chip Rossetti, managing editor of the Library of Arabic Literature (LAL), will discuss the new LAL series, an ambitious international project which comes out of a partnership between NYU Press and NYU Abu Dhabi. Johns Hopkins University Press: Brian Shea considers how Johns Hopkins University Press thinks beyond the borders of the United States from book translations to international marketing and the growth of Project MUSE into many different nations. University of Wisconsin Press: Press director Sheila Leary profiles the publishing career of Jan Vansina, one of the founders of the field of African history (rather than colonial history). His innovative seven books with the University of Wisconsin Press from the 1960s to the present have continually broken new ground, influencing the historiography of Africa and several related disciplines. Georgetown University Press: Jackie Beilhart discusses how Georgetown University Press gives its readers the tools they need to have a global reach themselves through our foreign language learning materials, our international career guides, and our international affairs titles. Indiana University Press: Laura Baich discusses IUP’s Mellon-funded Framing the Global project. This project supports scholarly research and publication that will develop and disseminate new knowledge, approaches, and methods in the field of global research. Syracuse University Press: Regional author, Chuck D’Imperio will discuss the roots of regional writing in many of the “classics.” From oral testimonies to local guidebooks, these stories contribute to the culture and history of the region. Fordham University Press: Fredric Nachbaur, Press Director, writes about establishing the Empires State Editions imprint to better brand and market the regional books, reflect the mission of the university, and co-publish books with local institutions. University of North Carolina Press: UNC Press editorial director Mark Simpson-Vos highlights the special value of regional university press publishing at a time when the scale for so much of what we do emphasizes the global. University Press of Mississippi: UPM Marketing Manager and author of two books, Steve Yates, gives his thoughts on the scale of regional publishing and shares the sage advice of businessmen. University of Nebraska Press: UNP’s Editor-in-Chief Derek Krissoff defines the meaning of place in University Press publishing. University of Alabama Press: JD Wilson presents a brief overview of the economic niche regional university presses occupy between mass market trade publishing and non-scholarly regional and local publishing. University Press of Kentucky: Regional editor, Ashley Runyon, writes on her unique editorial perspective as a born-and-bred Kentuckian as well as preserving Kentucky’s cultural heritage. We’ll also be talking about some of the fun things that make KY (and KY books) unique. Louisiana State University Press: Discussing the challenge of capturing an authentic representation of Louisiana’s culture, especially when it is an outstider looking in, as many authors (scholars or not) are, Erin Rolfs explains how it takes more than just a well-written, thoroughly researched book to succeed in depicting the nuances of Louisiana’s food, music, and art. It also requires a relationship of respect and acceptance between subject and author. She talks about LSU Press titles that have successfully shared and deepen an understanding of a regional cultural asset through collaboration with those most closely affliliated with the subject. Oregon State University Press: Mary Elizabeth Braun provides an overview of regional publishing with specifics from the Oregon State University Press list. Wilfrid Laurier University Press: Cheryl Lousley, editor of the Environmental Humanities series, writes about the engagement of environmental issues through the humanities disciplines, such as literature, film, and media studies. She outlines the genesis of the series and discusses some of the most recent publications. University of Georgia Press: Nik Heynen, series co-editor, will discuss the Geographies of Justice and Social Transformation series and how it relates to UGA Press. Texas A&M University Press: Charles Porter, Texas historian and author of the forthcoming book Sharing the Common Pool: Water Rights in the Everyday Lives of Texans, discusses the many facets of Texas history explored in books and series published by Texas A&M University Press. conduct research, present data, and engage with various publics. University of Pennsylvania Press: Penn Press acquisitions editors discuss the foundations and future of some of the press’s key subject areas. University of Toronto Press: will discuss the Medieval and Renaissance Studies lists at University of Toronto Press. The future of scholarly communication depends to a significant degree on how well university press publishers and university librarians can cooperate to create a sustainable means of transmitting scholarship to the broadest possible audience. Because our communities tend to focus on different parts of the current system, we sometimes disagree on the best means to achieve that goal, but as units of the university we both must and do share it. Presses have a horizontal focus, competing for the best scholarship across entire disciplines while also being careful to choose disciplines that reflect their home universities’ strengths. Libraries focus first on meeting the needs of the home university’s scholars and students, though to be sure they invite researchers across the intellectual world to utilize their resources. Library collections service every academic discipline within the university; presses just a few and with some exceptions those few are overwhelmingly in the humanities and social sciences. This at the same time that libraries spend most of their acquisitions budgets on STM materials. For too many years, presses and libraries operated on entirely different tracks within their home universities. Now mutual need and complementary strengths bring them together. There have been a variety of experiments ranging from making s a press’s monographs available to at least the local community via open access to the intriguing situation at Purdue, where the Press director is also the director of scholarly communication, allowing the dissemination of materials ranging from data sets, local conference proceedings, and the like right through to fully peer-reviewed “traditional” scholarship, to be united in one place. Surely, this is a more efficient way of doing things than having presses and libraries continue on entirely separate tracks. A growing number of university presses report directly into the library. This has benefits for a press—increased access to IT support, more investment capital—and benefits for the library—increased understanding of the costs involved in reviewing and polishing scholarship and an introduction into the need to incur marketing expenses if scholarship is to be disseminated broadly. Both benefit from increased opportunities for the two similar but different cultures to adjust to each other. 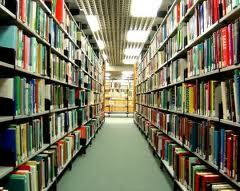 There have also been successes on the level of the aggregate library and press communities. The University Press Content Consortium (UPCC) was developed by multiple presses and now serves roughly one hundred; its model was developed by consulting with the entire academic library community and an international array of libraries are participating in purchasing the collections. Books at JSTOR and Oxford Scholarship Online have also drawn on presses and libraries to improve scholarly dissemination. Both the ARL and AAUP have made attempts to engage their counterparts in various meetings and conferences—more of that is needed. I’d suggest enough progress has been made that it is time for the two communities to start working together seriously to solve the economic elephant in the room of scholarly communication, namely STM publishing. For reasons somewhat lost to history, university presses largely abandoned science publishing around the time of World War II. There are exceptions of course—Cambridge, Oxford, Chicago, Duke all have strong science journals among their offerings—but few mid-size or small presses do. Instead, science journals are largely published by commercial publishers whose first concern is enriching their shareholders. It’s time to change that. What if presses cooperated on certain aspects of the costs of starting university press alternatives in STM publishing, taking note of the ways library consortial activities have worked over the many more years that community has engaged in inter-institutional cooperation. Could we form alliances with learned societies also looking for new publishing models that will preserve the income they need to serve their members, but lighten the burden on library budgets? This wouldn’t be quick or easy or cheap and it would have to be done in a way that didn’t, at the beginning, just add costs to library budgets. But the potential payoff is large enough that a clear demonstration of library and university press commitment to such a venture might attract the start-up funding it needs. There are probably infinite ways libraries and presses can cooperate to the benefit of each; surely there are more than I can imagine here. What’s already been done demonstrates that libraries and university presses not only need each other, but can achieve great things if they broaden their partnerships. Creating a new scholarly communication system will require the expertise of all university parties involved in the old one, along with a willingness to embrace ideas and methods of operation that may at first be uncomfortable. To borrow a phrase, it will take a village. Duke University Press: Priscilla Wald, Professor of English and Women’s Studies at Duke University, will discuss the slow future of scholarly communication. Harvard University Press: Jeffrey Schnapp, faculty director of metaLAB (at) Harvard and editor of the new metaLABprojects book series, will discuss the emerging currents of experimental scholarship for which the series provides a platform. Stanford University Press: Alan Harvey, Press Director, will discuss the challenges presented by new technologies in publishing, and how the industry model is adapting to new reading-consumption habits. University of Virginia Press: Historian Holly Shulman, editor of The Dolley Madison Digital Edition and the forthcoming People of the Founding Era, looks at the need for university presses to adapt to new technologies, while acknowledging the difficulties of doing so. University of Texas Press: Robert Devens, Assistant Editor-in-Chief for the University of Texas Press, will discuss the future of scholarly communication. University of Minnesota Press: Editor Dani Kasprzak will announce a new UMP initiative. Temple University Press: Our own Director, Alex Holzman, explores the partnerships university presses and libraries can forge as the means of communicating scholarship evolves.